With advancements in the industry, solar panel popularity rightly continues to grow. Not only does the investment save money on electricity costs, it helps to prevent the dependence on fossil fuels. This is exactly why churches across the country are making the switch. 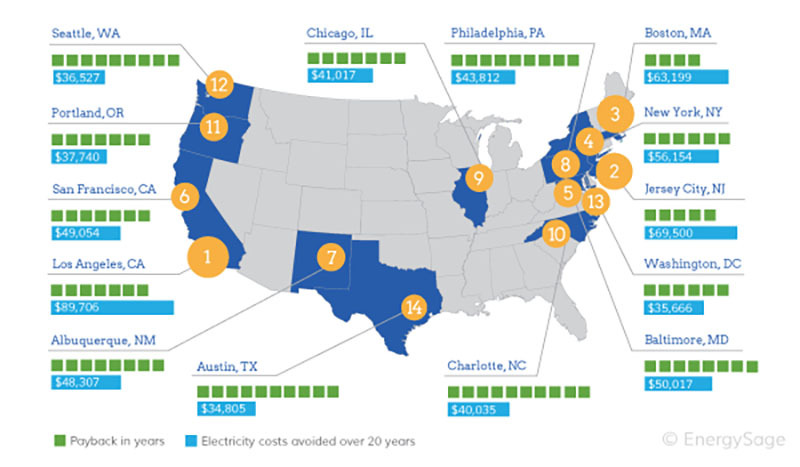 According to the Solar Energy Industries Association (SEIA), since 2009 the cost for non-residential solar installations have dropped from around $7.50 per kilowatt to about $2 today – roughly a 75% decrease in price. This is especially useful in California, where the rates for electricity are 32.9% greater per kilowatt hour than the national average. A 10kW system would cost roughly $20,000 – $22,000 based on this pricing. 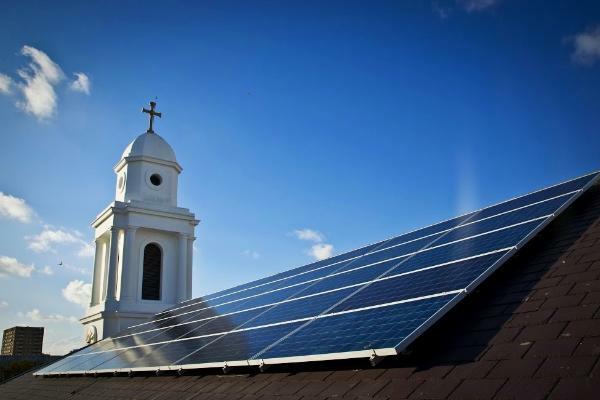 If your church were to use 10kW for 8 hours per day at the California average of 13.41 cents per kWh, you would be paying $3,915 per year in electricity costs. This means it would take 5-6 years to have your investment paid for, along with savings for the church from there into the future. Over the course of 20 years, the savings would be over $50,000 for the church. Sourrce: energysage.com As shown, Los Angeles is one of the places where you can save the most on solar, along with many other cities in California. Unfortunately, as with funding other projects, it can be difficult for a church to find financing through traditional institutions. You often won’t find this out until you are given the run around for weeks and months. At BDM we have been working with churches just like yours to get the financing they need. Simple, no personal guarantee, and receive your money fast. Contact Us Now to Start Financing Your Church Today! Your response was different. Your offices have treated us with a respect and professionalism we didn’t find in some of the other places. The loan you funded for us took care of the roof problem and some other things as well. Borrowing money is a tough situation for a church, but BDM made it easy. - Pastor Gerald R Mitchell Jr.